I came across this style card - an Arrow fold - while browsing Pinterest recently. 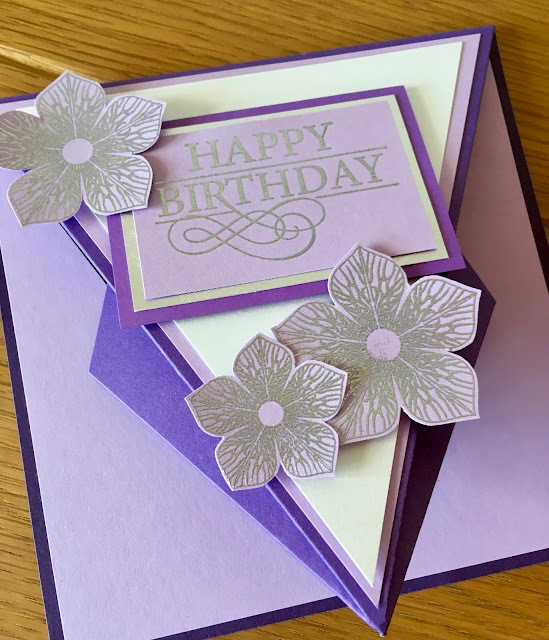 There's an excellent tutorial by Sam on Mixed Up Crafts and the card was very easy to make. 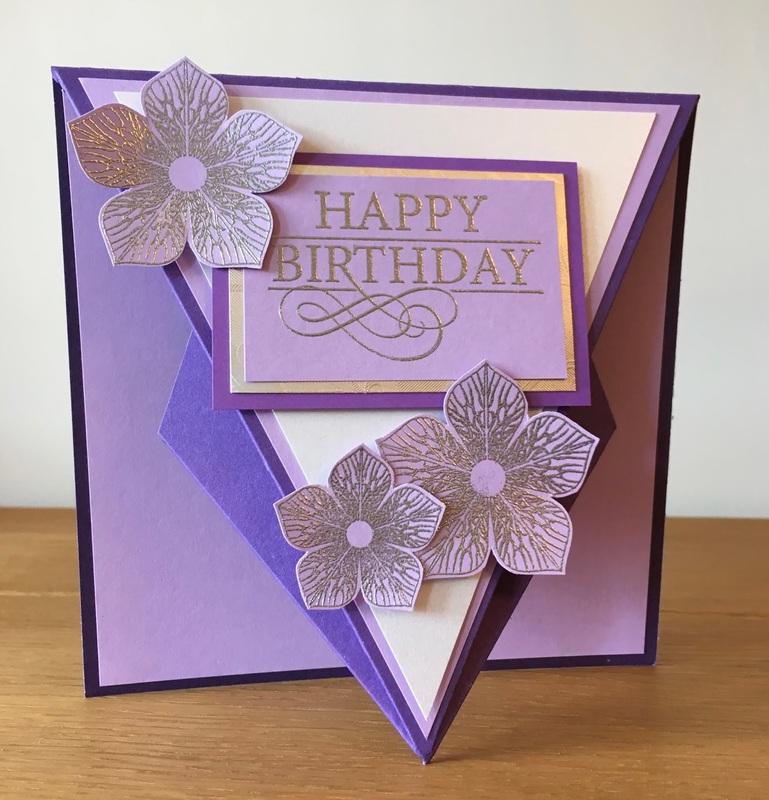 Finished card is 6 x 6 inches.